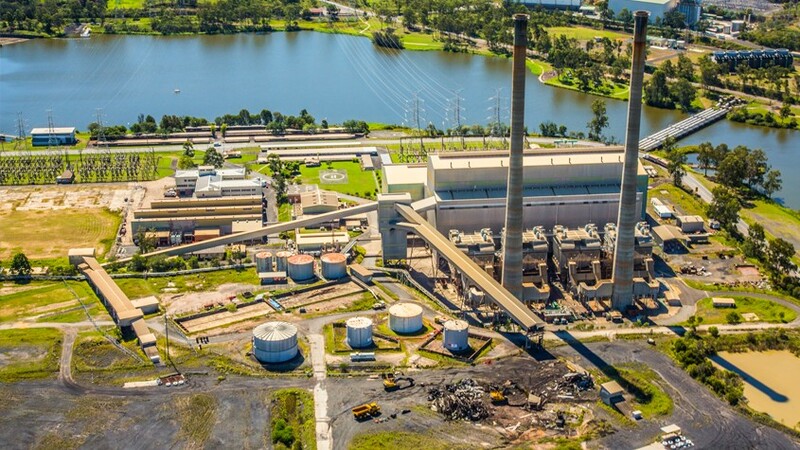 Liberty Industrial carried out the deconstruction of a 480 megawatt coal fired power station and all structures, plant, equipment and associated infrastructure at the Queensland Government owned Swanbank Power Station site in Ipswich, Queensland. 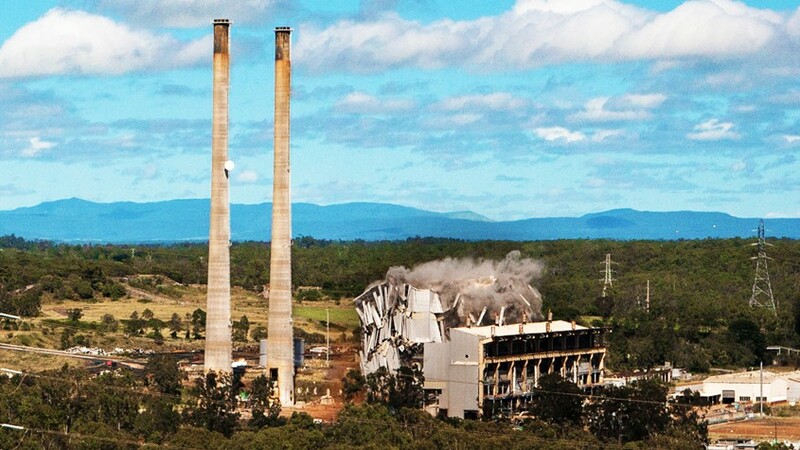 Deconstruction of the power plant included chimney stacks, cooling towers, storage tanks, a boiler house and four boilers, a turbine hall including steam turbines and generators, condensers, a feed water treatment plant, control room, transformers, ash and dust handling systems, electrostatic precipitators and coal handling infrastructure. The scope of works also included the removal of significant amounts of friable and bonded asbestos; the majority of which lied within the boiler house and turbine hall buildings. Liberty Industrial used a combination of mechanical methods and induced collapse techniques to demolish redundant structures and items of plant. Induced collapse demolition methods employed include cut and pull methods and explosive charges. These techniques were used to reduce the structures to a suitable height for further processing by our fleet of excavators. A variety of excavators, including our 230t Liebherr 994 with its 14t grapple and other 70t, 46t and 35t excavators fitted with shear, grab, hammer and magnet attachments will be used to carry out the mechanical demolition works. Additional equipment including a 40t moxy, 14,000l water truck, telehandler, fuel truck, service truck, as well as boom lifts and semi tippers will be utilised. Items of process plant for not flagged for resale and relocation were recycled. All concrete and brick material was processed and retained on site for use as backfill. 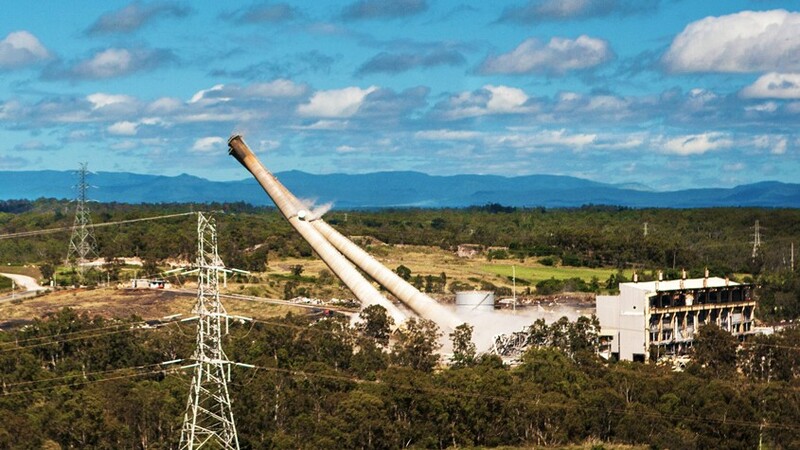 All transformer oils were removed and refined at an offsite facility in NSW for future reuse. 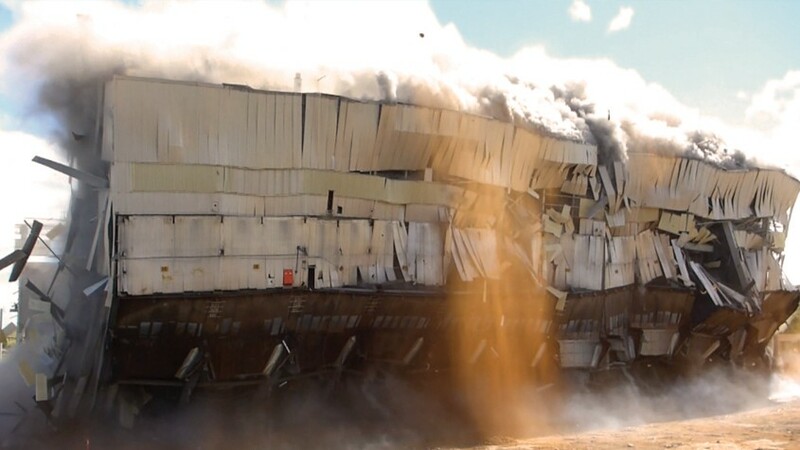 All scrap was processed to export size, with ferrous scrap direct-exported via bulk shipment from Pinkenba Wharf, and non-ferrous scrap in 20ft and 40ft shipping containers.